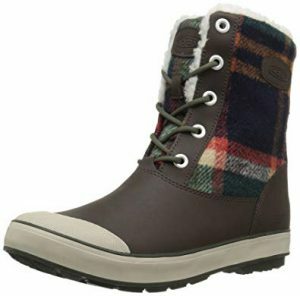 Women’s waterproof boots – Dry and In Style Never Looked So Good! My aunt, Nellie, has a horse she named Cocoa. Cocoa was named for my aunt’s favorite hot cocoa drink. Cocoa had a dark, mahogany coat and a white star just like a cup of marshmallow fluff hot chocolate. Nellie looked so elegant when she rode, and she handled any thunderstorm with ease. Despite hours of downpour, there was never a wet foot in sight! Growing up in Florida, I always wanted a horse so I could be just like my aunt. I don’t need to tell you or my parents how expensive horses can be. Although my dream of being a horse-owner like my aunt has yet to be realized, I do own a pair of women’s waterproof boots! Aunt Nellie gave me my first pair of boots, and I gave a name to the boots: Cocoa, like her horse of course. Boots are a great way to make memories year after year. And with their durable material, they are guaranteed to last. Mine have lasted over seven years without a tear in sight. They are the most durable pair of shoes my closest has ever housed. Whether you have a horse, like my Aunt Nellie, or a favorite pair of boots to name, like me, women’s waterproof boots are a little luxury you can enjoy day in and day out. No vets required. Boots are not just good for men, like the famous John Wayne, but they are also wonderful for all types of women. Women can wear boots with a small heel for instant style and confidence. Popular Cuban heels are at least two-inches. Two-inches is considered a comfortable yet wearable height for a woman’s shoe. The low heel keeps weight balanced throughout the entire foot which guarantees your comfort. With boots, men and women can have style without sacrificing comfort. Anything less than two inches is considered to be a low heel, and anything higher than three inches is considered a high heel. There is a time and a place for every heel height. Women, don’t dare to try and bring your six-inch stilettos on the farm! Just imagine yourself walking through the wilderness and sinking into the grass. That sounds like a messy disaster! Boots, on the other hand, travel where you do. Boots are not only functional but also stylish. Look for the appropriate heel height for your situation. For example, if you are going to be dredging through inches of water, find a pair of waterproof boots with a low heel. Or if you are breaking out your two-step on a wooden dance floor, a higher heel fits the occasion. 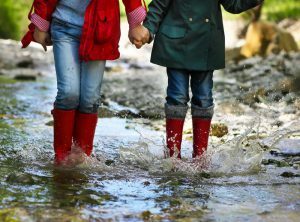 The thick leather of handmade boots can protect your feet from water, mud, and any other elements you might encounter in nature. Women’s waterproof boots are like an umbrella for your feet. They go on easily, stay on, and come off when you need them too. Sometimes, you encounter a surprise that makes you happy you wore your boots. One time, I saw a rattle snake in the desert. It was a frightening sight, indeed! But the boots I was wearing had a thick leather upper. A snake would practically break its fangs before breaking my boots. My worries melted away because I knew I was protected. The boots saved me and gave me confidence from that rattle snake. Bugs can be another force of nature to reckon with! Buzzing bees, fire ants, and massive mosquitoes are some bugs you can encounter while out and about. 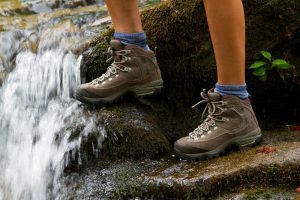 While a mosquito can get your skin through an open-toe flip-flop, your toes are safe inside the warm closed-toe of a waterproof boot. What other shoe can give you the best of both worlds? I live in Florida, and in Florida you never know when it can rain. Rain in Florida is more of a question of ‘when’ than ‘if’. However, women’s waterproof boots are guaranteed to keep my feet dry and in style. I would not wear boots to the beach, but I would wear them anywhere else. With summer thunderstorms, I place all bets on my boots. A bet on boots is a safe bet. My girlfriends all have women’s waterproof boots. You never know when your boots will catch someone’s eye! Each woman knows that her boots tell a story about herself. 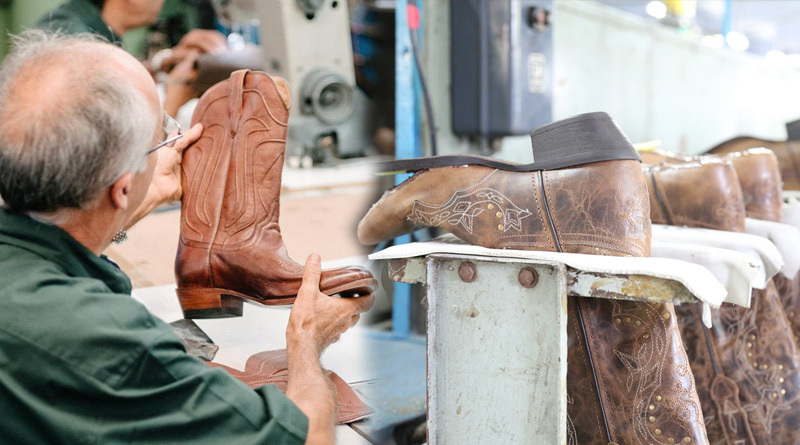 Handmade boots are like a work of art: they start a conversation, tell a little story about your style, and are absolutely beautiful. Unlike art, boots are also functional! You can’t call that a bad investment. Boots have trends, too! Trends can slide you into different styles while classic looks are timeless for any occasion. Classic styles include worn leather and neutral colors. Trendy styles include feathers, sparkle, and color blocking. Embroidered flowers are great for spring, while darker jewel-tone details are perfect for fall months and pumpkin picking. Look at the details to find your perfect style. Boots make a great accessory for anything in my closet. They take my sundresses from day to night, and add southern style to a pair of effortless denim jeans. More magazines should show boots on their front cover, don’t you think? Like I said before, my boots remind me of my Aunt Nellie. Although a horse is too much of a commitment for my life right now, a pair of boots is the perfect solution to being like her! My boots even have a name just like her horse, Cocoa. Family history becomes alive in a pair of classic handmade boots. Boots can give your family trips a personal touch and make memories that are uniquely yours. Men and women can wear boots together year-round. Summer showers or mosquitoes are nothing to worry about thanks to a pair of waterproof boots. Boots are one pair of shoes that will keep you on-trend and protected from natural elements. Waterproof boots are dry and always in style! As always, if you have any questions, or something that you would like to share, feel free to leave a comment below!